A toy box can be an under bed storage bin that pulls out with ease, a simple rectangular box with lid, a pirate's chest or a combination chest and chalkboard play center. 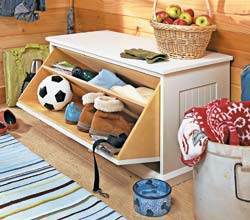 Add casters to make moving your little one's toy box easy and safe. 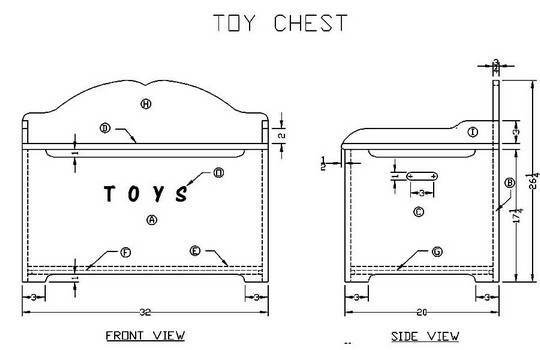 Use free toy box plans to create a special place for your child's toys and treasure. Build a box with side rails and backrest to use as a bench. Make a themed toy box that looks like a miniature covered wagon. Use plywood, MDF or stock lumber to create the box and paint with non-toxic enamel for a colorful accent to brighten the playroom. Choose stain and urethane finish for a traditional look that will blend with any decor. 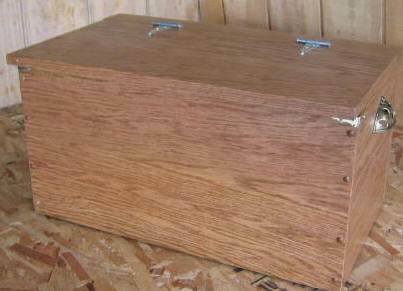 Free toy box plans are simple to build and are easily modified to fit any space. This chest is designed with a drop-down storage area in the front that is easily accessed with two pull knobs. Build this wooden toy box to help keep toys up and out of the way using this easy to follow plan. 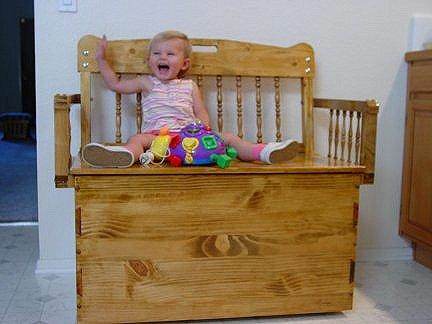 Here is a plan for a wooden toy box that doubles as a bench and the lid has great safety features. 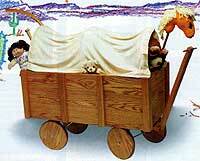 This themed toy box looks just like a miniature covered wagon and has wooden wheels to make moving it easy. 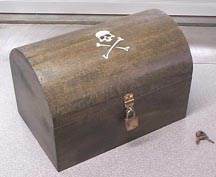 Make your child this adorable toy box that looks like a pirate's chest using this plan. Build a large toy box on wheels that is also a bench with a back and arm rest. This toy box also has a secret compartment.